In a conservatory or bay window, you want to be able to perfectly adjust the incidence of light. Not too much when the sun is shining but not too little on a cloudy day. The conservatory or bay window must of course remain the lightest part of your home! In all these situations, JASNO shutters and blinds are the perfect ally. Steplessly adjust the louvers on JASNO shutters and blinds to any position you desire. You can perfectly adjust the amount of light entering your bay window or conservatory. JASNO shutters with dividing bars offer even greater freedom to play with light, since the top and bottom section of the shutter panel can be adjusted individually. For example try closing the bottom louvers to prevent annoying reflections, while leaving the top section open for extra light. JASNO shutters and blinds are made from wood. This natural material has a limited insulating effect. 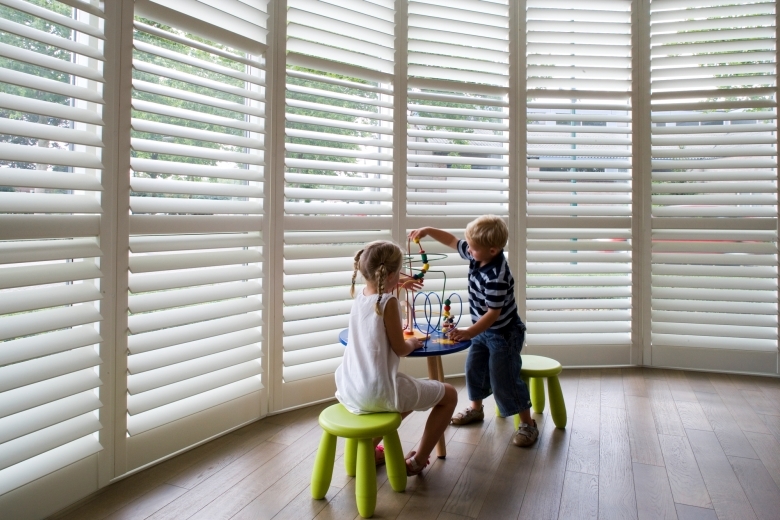 Thanks to this characteristic, wooden blinds and shutters from JASNO are ideal for conservatories and bay windows. In the summer they keep your conservatory cooler, while in the winter, open the shutters wide to allow plenty of the sun’s heat in. Open or closed? At certain times you want to enjoy the view of the nature around you, while at others you prefer a cool and comforting enclosed space. With rail systems from JASNO, you can effortlessly slide the shutters aside, and back into place. This is also the ideal solution for a conservatory with French windows! If you opt to install shutters in your conservatory, do not forget the angled glass conservatory roof! Thanks to our ingenious tailor-made systems, we can even supply JASNO shutters for angled roof panels. These systems enable you to perfectly enjoy the incoming sunlight in the additional space in your home. Naturally, these panels are fitted with the easy-to-use remote control system. 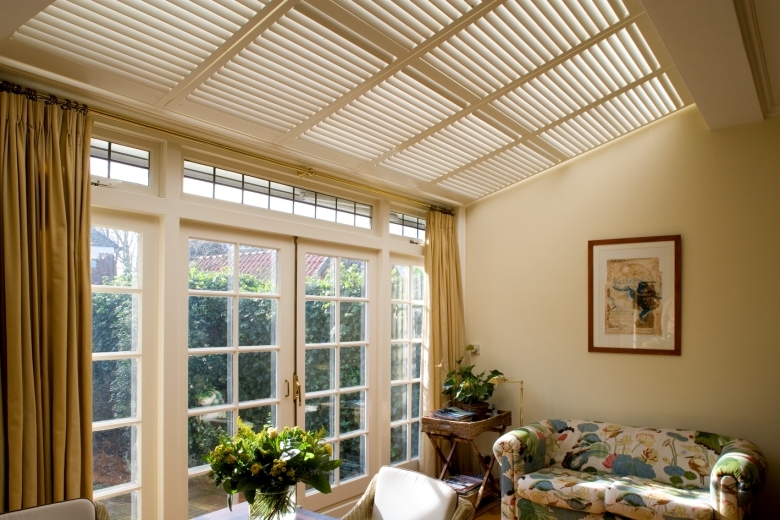 Read on for more information about shutters for a roof window, or to find a local dealer.